Prime Bar & Grill's Lamb Cutlets with Red Wine Jus, Chips and Veggies. Makes me hungry. 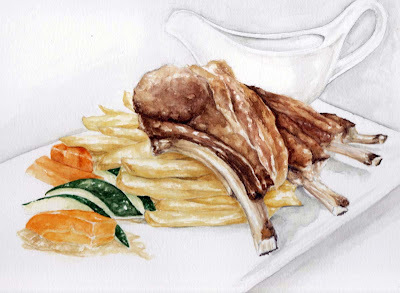 I love lamb. Ah I wondered how it tasted after the time it took to draw, but I saw the postscript :P Great drawing!